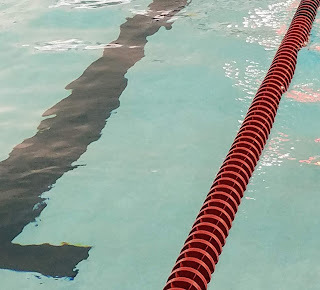 As you wade into the waters of an author study, it may take you a while before you are swimming. Come on in! The water’s fine. Upon reading the first piece of an author’s work, you test the waters with just one toe. As you read more, the cool water tickles your ankles and you notice common strengths between multiple works. You quickly submerge deeper, motivated by your findings. Pretty soon, you are swimming! This author shines in several ways and the work may possess common themes. Just as the summer sun prompts us to dive right in, Maria Gianferrari’s work is burning bright. Since July of 2015, she has released six books and today marks the release of her seventh. Happy Book Birthday, Hawk Rising! 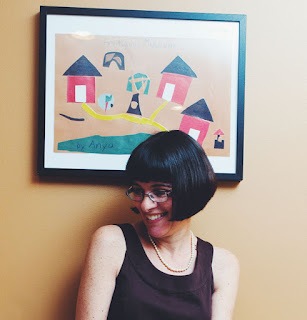 Maria is not new to the Reading for Research blog, and for good reason. 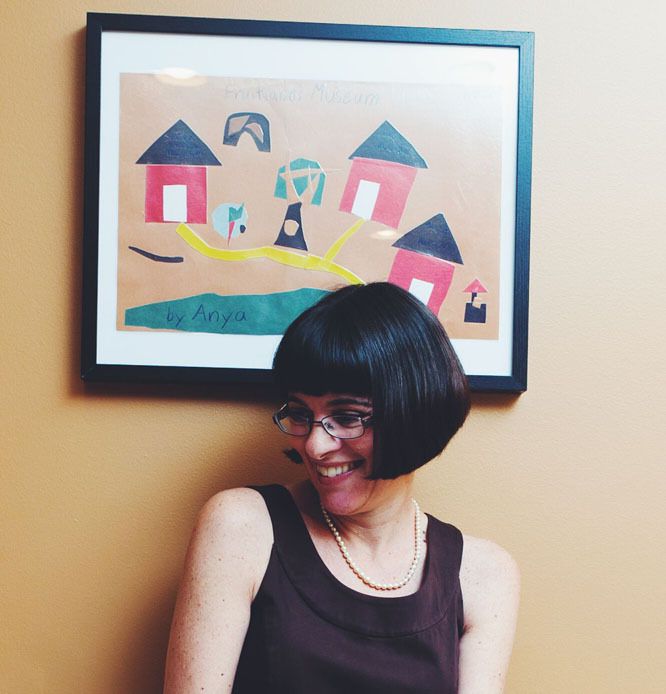 Her exemplary work leads by example, defining the very essence of what a mentor text is. 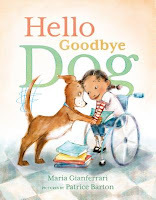 Just by looking at the covers of her work, it’s easy to see that she is an animal lover, and many of her books feature dogs as important characters. But beyond her love for dogs and animals, we find a multitude of writing strengths to learn from. Do you sense poetic value as these verbs are isolated? I see a picture of a hawk emerging in my mind! The verbs alone tell a story. It is not uncommon to see this in all of Maria’s picture books. Challenge yourself and your students to find poetry in verbs as you study her work. Growing up, I remember the stiff, emotionless nonfiction offerings that did not excite me to read or learn more. But when facts are infused with story, we become invested readers, not even realizing that we are learning at the same time. We are led by inquiry, through an innocent observer’s eyes. How do they hunt? Are they always successful? Will their babies starve? Will any creatures get in their way? In Officer Katz and Houndini, it’s a problem-solving showdown between characters. Deputy Catbird designs traps and Houndini solves his way out. 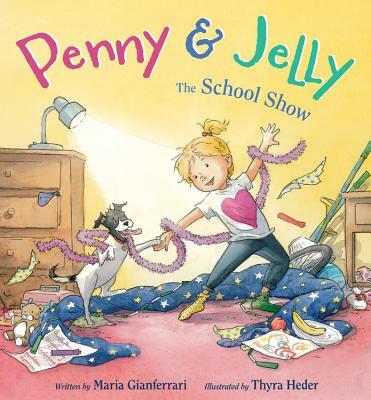 In Penny & Jelly: The School Show, Penny problem solves her way to finding the perfect talent show act. 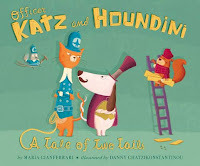 And truly, it is no different for her nonfiction animal characters, who problem-solve their way to a family dinner. Every traditional story features a character failing multiple times, but finding a solution in the end. This is the mark of a great story. Maria Gianferrari's favorite pastime is searching for perching red-tailed hawks while driving down the highway. When she's not driving, she loves watching birdcams. Her favorite feathered stars are Cornell hawk Big Red and her late mate, Ezra, who together raised fifteen chicks since they began nesting in 2012. Maria is also the author of Hello Goodbye Dog and Coyote Moon, both published by Roaring Brook Press as well as the Penny & Jelly Books (HMH), Officer Katz & Houndini (Aladdin), Terrific Tongues (Boyds Mills Press) and the forthcoming Operation Rescue Dog (Little Bee). She lives in Virginia with her scientist husband, artist daughter, and rescue dog, Becca. Visit her at mariagianferrari.com, on Facebook or Instagram. 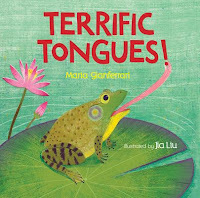 I love these examples of Maria's vibrant writing style, especially the fun action verbs and sensory language! 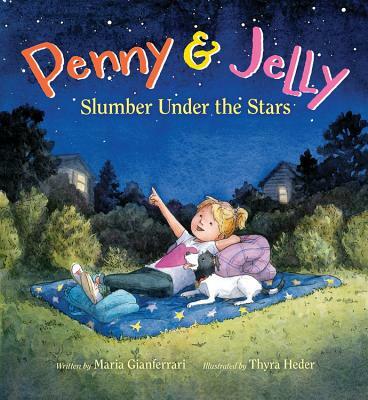 What a lovely mentor text study! 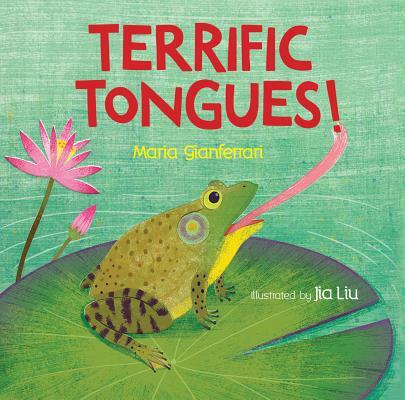 I had not heard about Maria’s work, but now I am so excited to find these books and share them with my children! I can particularly see my 5 year old son being enthralled by all the amazing animals that Maria so clearly loves. 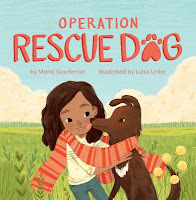 THank you for sharing, and happy book birthday, Maria! Love the engaging verb language and use of animals. Thank you for the great post. I loved seeing the list of verbs. Makes me want to isolate verbs in some manuscripts to see where they can be beefed up too. Thanks. There isn 't a book Maria has written that I don't fall in love with. Congrats on your newest, Maria. And I know I have strong verbs, but need to weave those facts more seamlessly into NF. You're too kind, Kathy--thanks for saying so <3! Wonderful post. I especially like those vivid verbs and want to read them in action. Can't wait to read Hawk Rising and Terrific Tongues! Great post! and yes to more verbs. 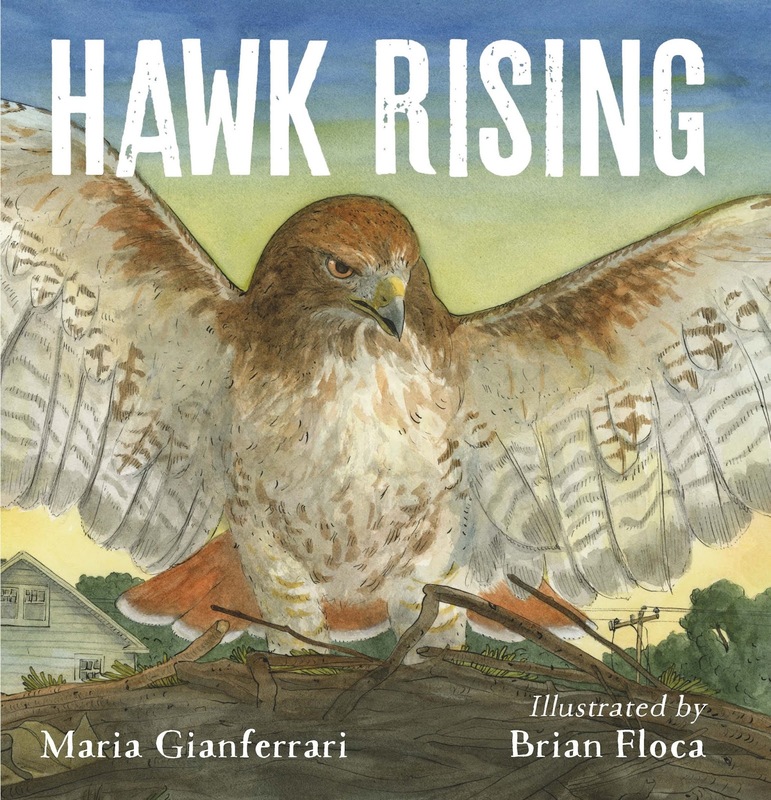 I love Maria's books and have Hawk Rising and Terrific Tongues in my reading basket. This is wonderful, Carrie. I strive to write more like Maria. The examples are terrific. Happy book birthday! Congratulations! Great language! I love rhis. So excited to read Hawk Rising. I love nature and dogs as well. My sister and I count the Red Tails when we take trips too. Our best number was 9 in 25 miles. Great post! I'm going to have to think and study more. One of my all time favorite animals in a picture book is the little bear in Blueberries for Sal. Love their interactions and their thought processes! I love Maria's books. I just got Coyote Moon, and I can't wait to read Hawk Rising. Thanks for the great information in this post! I hope that you'll enjoy them, Linda! Wonderful post! 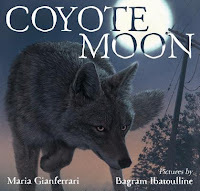 These are great mentor texts. Thanks for sharing. Thank you for stopping by, Cathy! I love playing with words! I guess that's why I love the art of picture books so much. Maybe one day, I'll actually get one published. Here's hoping! Don't give up, Carolyn & you'll get there! Happy writing! Lovely post! I agree with all the wonderful kudos! Thanks so much, Janie--good luck!! Happy book birthday to Hawk Rising! Congratulations, Maria! Thank you for your explanations and use of verbs to show things. I have loved your stories that I can find and have Hello Goodbye Dog on my desk now. Your books are fun and informative. Thanks for sharing. I have a special place in my heart for Hello, Goodbye Dog, so this book is my favorite animal picture book. "Tell us about your favorite animal picture books or characters." The characters in Richard Scarry books! They're always busy! Fabulous post showcasing the multi-talented Maria! Can't wait to read Hawk Rising. Love your books Maria. Can’t wait to read Hawk Rising. I’ll review and put my verbs on weights so they lift my drafts up high! Kind of you, Susan--thank you!! Great post, so much to absorb! Having fascinating non fiction stories that grab your attention is such an improvement over the old dry books I remember. Nonfiction is more engaging and fun than ever these days! Enjoy, Marty! Love this interview, Maria. I can't wait to read HAWK RISING! I can't wait to get my hands on this one...I LOVE hawks! You are truly on a roll Maria! Congratulations! Many thanks, Donna!! I love them too! I hope you'll like it! Thanks for reminding me, and everyone else, the importance of picking that just-right word! Great info about Maria's writing. Great verbs from Hawk Rising! Looks gorgeous. Thanks, Tina!! Looking forward to reading Rice From Heaven when it releases :)! My favorite animals are zebras and giraffes. Magic happens when you make every word count, Maria...and you are a master kidlit magician! !